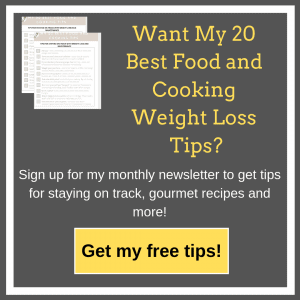 Recently I decided to rework my grandmother’s meatloaf recipe into a healthier version – thus the title, “Even Better Than Granny’s Meatloaf (And Better For You).” It’s a bit on the spicy side but not too spicy. If you don’t like spice you can leave out the Chipotle seasoning or use less if you want. My kids think it’s the best meatloaf ever! Of course they are a bit prejudiced. 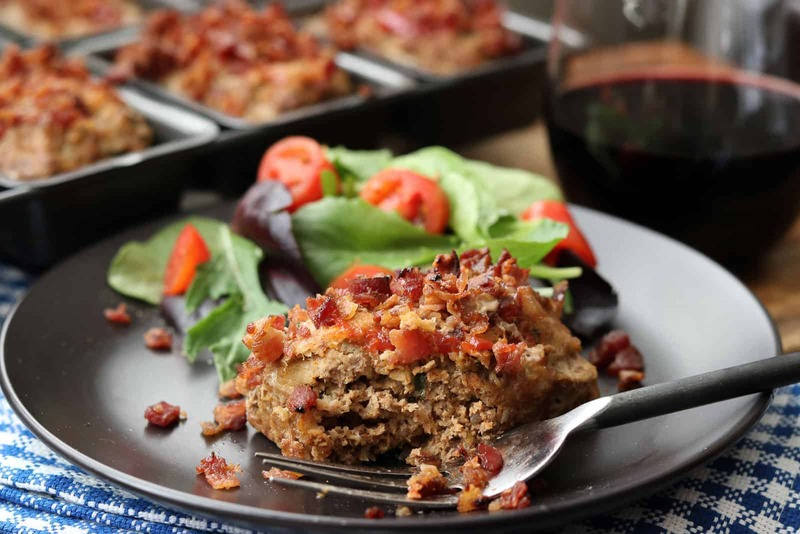 The original recipe appeared in my cookbook, Amy’s Favorites (from my non Weight Watcher days in 2010) under the title, “Granny’s Meatloaf.” It originally had ground beef and hot pork sausage and slices of thick bacon on the top (Weren’t those were the days?!) For this recipe, I use grass fed beef but you could use 85-90% lean ground beef. I also substituted turkey for the pork sausage and added the Chipotle Seasoning. For a bit more vegetables, I added some kale. My kids think it’s parsley so they don’t even care. Instead of the bacon slices on the top, I used crumble bacon bits. It turned out delicious and my family hasn’t even noticed I made it healthier. You could also add a few more vegetables such as red pepper and mushrooms. Unfortunately I can’t “get away” with those ingredients in my house. One of the best thing about this recipe is that you can make it and freeze it for later. I love having “frozen,” little treasures in my freezer, especially when I have company. If we decide to eat out, then great, but if we want to eat at home, I already have something already prepared. Use the mini loaf pans, eat some now, freeze some for later! 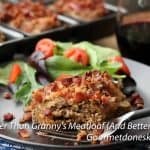 Even Better Than Granny’s Meatloaf is a healthy delicious tender meatloaf with hints of spice and sweet, topped off with crispy bacon crumbles. Definitely a family pleaser you can make ahead and freeze for quick meals later. It’s a twist on my grandmother’s recipe. My family thinks it’s the best meatloaf ever! 1 lb. grass fed ground beef (you don’t have to use grass fed, but use 85% lean not the 93% lean or the meatloaf will be too dry). In a large non-stick skillet, saute onions, celery and garlic until soft. Depending on your skillet, you may need to spray pan with a bit of oil. In a large mixing bowl, combine ground beef, turkey, eggs, vegetables, Chipotle Seasoning, salt and pepper, Worcestershire sauce, 1/3 c. ketchup, oatmeal and kale. 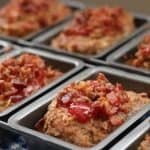 Using a dry measuring cup (3/4 c.) scoop about 3/4 c.of meat mixture, form a loaf and place into 12 mini non-stick loaf pans. (My mini non-stick loaf pans are a set of 8, so I use 2 pans and have 4 empty loafs which I then fill with water. This makes them bake more evenly). You can also use muffin pans or individual casserole dishes-you may have to adjust the bake time. Spoon remaining ketchup over each loaf (almost 1 t. per loaf) and top with 1 T. crumbled bacon. 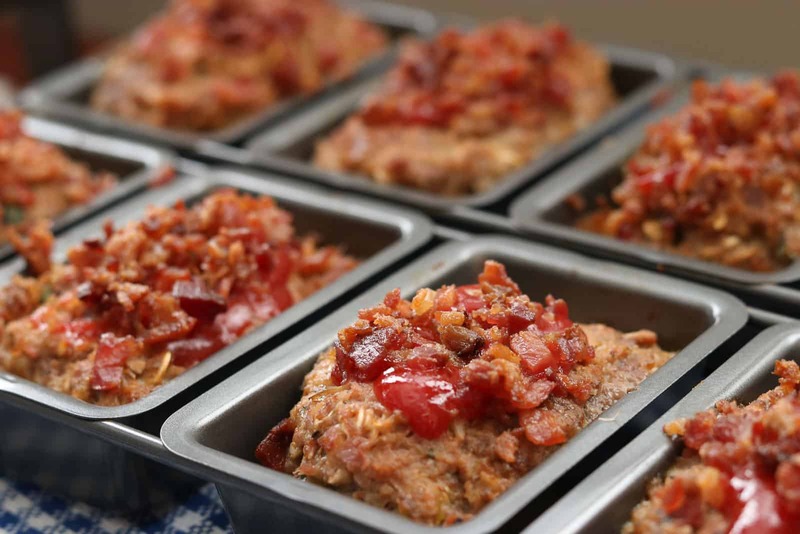 Press bacon down into meat loaf slightly so that it doesn’t fall off when baking. Bake loaves until temperature reaches 165° about 25 minutes. When finished baking, carefully lift out each loaf with a spatula and fork and transfer to a wire rack or serve immediately as you don’t want the loaves to sit in the juices. This is a perfect meal to make, serve and freeze the rest for later. To freeze, place each loaf on a cookie sheet lined with parchment paper. Freeze for a few hours. Then transfer to freezer seal bags or Ziplock bags. When ready to eat, thaw and reheat or reheat in microwave until hot. 4 Replies to "Even Better Than Granny's Meatloaf (And Better For You!)" This came out so good! I ended up putting them in my silicone muffin cups and counted 2 as 1 serving. The flavor is amazing and I could not taste the kale at all. This one is a keeper! I’m so glad they turned out well for you. What a great idea to put them in your muffin cups! I’ll be passing that along for sure! Best meatloaf I have ever eaten! Thanks Linda! So glad you’re family liked it!